Hernado Desoto Landing in Tampa Bay. Study for Florida Pavilion, Chicago Century of Progress, 1933-34. Study for Florida Pavilion at Chicago Century of Progress, 1933-34. The National Endowment for the Arts tells us, “A great nation deserves great art.” The same can be said for a great state. 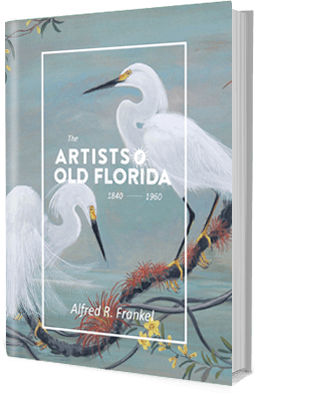 Florida has an art history that qualifies as great, but it’s a history that’s forgotten: lost in a storm of development, tourism, neglect, and the slow drizzle of time. From 1930 to 1960, in terms of number of artists and art associations alone, this state was home to the largest art community in the country. But it is, for the most part, lost. My purpose in writing this book is to push back the clouds of time and shed a little sunshine on that lost art.